Worth Architectural Series 20 x 30 Wood Return Filter Grill Discounts Apply ! 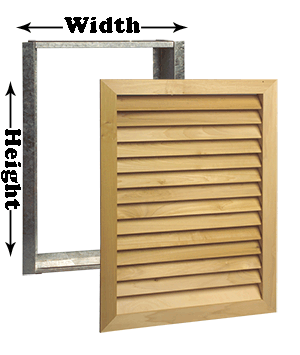 Worth decorative air return filter grills are constructed with a Pine faceplate and steel backing. Worth Architectural series decorative air return grilles hold a standard 1" filter that is sold separately. 20 x 30 filter grills can also be purchased with a Poplar faceplate for a painted finish from the Worth Premier Series. Worth decorative air returns feature hidden hardware and a quick release faceplate for easy maintenance. These filter grills only require periodic damp wiping to keep them looking beautiful. Worth Architectural Series filter grills are made in the USA. 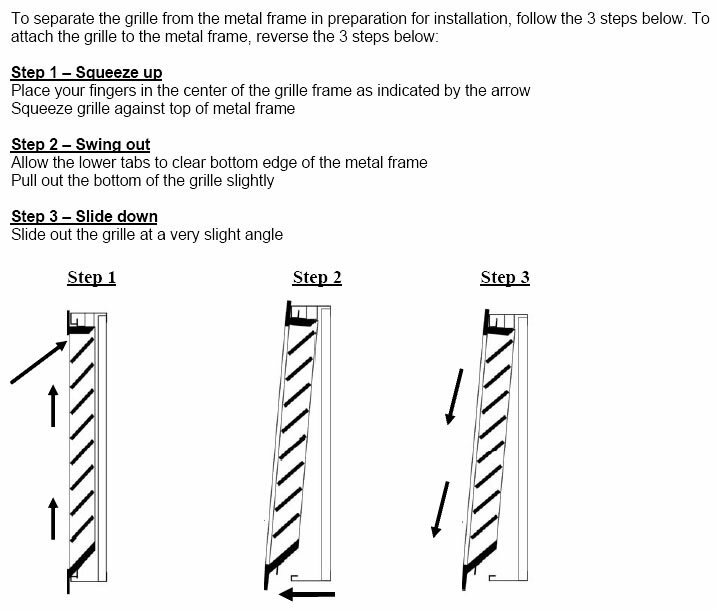 Easily remove and re-attach the filter grills faceplate by just following these directions. Decorative air return filter grilles are beautiful accent in any home or office in addition to reducing airborne dust particles, place your order today.